Have students try these activities to expand their knowledge and interest in Rain & Snow. In The Water Cycle students learn that they will drink around 16,000 gallons of water in their lifetime. Have students do some math problems using this number: How many pints are in one quart? How many quarts in one gallon? How many pints in one gallon? How many pints of water is 16,000 gallons? How many quarts of water? If a person lives for 90 years and drinks 16,000 gallons of water in that time, how many gallons does he or she drink per year? Per day? In Life of a Raindrop students read that about 99 percent of all weather takes place within the lowest 11 miles of the atmosphere, called the troposphere. Have students research the other layers of the atmosphere. Students should create a chart showing the various layers, approximately how many miles are in each one, and what takes place within each layer. Many poems prominently feature snow, including Robert Frost’s “Stopping by Woods on a Snowy Evening.” Read aloud a selection of “snow” poems. 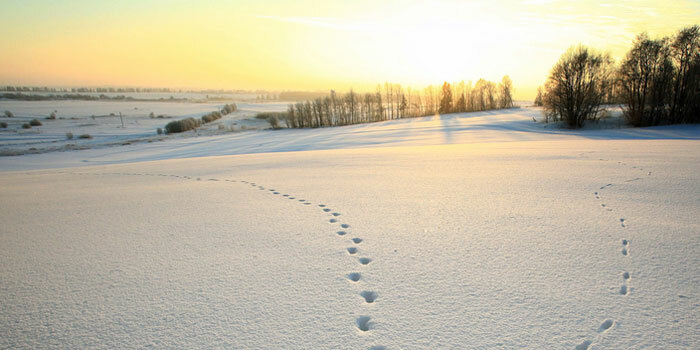 Encourage students to write their own narrative poems about snow. Have students imagine they are television weather people reporting from an area where tornadoes are touching down. Have them write and read aloud a transcript that describes what takes place, what the approaching tornado looks like, and what people should do to stay safe. The Water Cycle features the drought that took place in the Midwest in the early 1930s. Have students research what occurred during this drought, including why it took place and its devastating results. Have students work in groups to create their own illustrations and descriptions of the water cycle. Have students research and write a report on one hurricane that occurred in the United States. Students should describe when and where it took place, how long it lasted, the maximum wind speed, and what damage the hurricane caused. Have students choose a state and research the average amount of rain and snow that fell on a state each year for the past ten years and for the years 1980 and 1950. With these numbers in mind, students should briefly describe how rain and snowfall have changed over the decades. Have students com- pare the amount of rain and snow in the states. Four kinds of clouds are shown in this topic. There are many other kinds of clouds as well. Have students choose another kind of cloud to investigate. Ask students to draw a picture of the cloud and write a one–or two–sentence description of what the cloud looks like, where in the atmosphere it is found, and what kind of weather, if any, it produces.